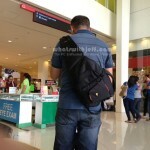 One of the things that you need to absolutely have when you bought your DSLR camera is a bag. You just don’t carry your camera around hanging on your neck. You also need to put it in a safer place. Today let’s take a look at the Case Logic SLRC-205 Camera Sling Backpack. 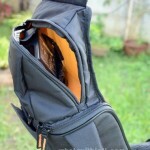 Last time I was able to review the Tuff-Luv E-Volve Expedition I (Astra) SLR Camera Backpack sent to me by LoveCases.co.uk, this time its a sling backpack from Case Logic. If you want something that is more compact, and where you can easily access your DSLR, a sling backpack might be the one you are looking for. 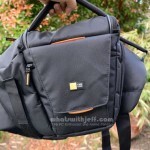 Please continue reading my Case Logic SLRC-205 camera sling backpack review below, and find out if this bag is for you. 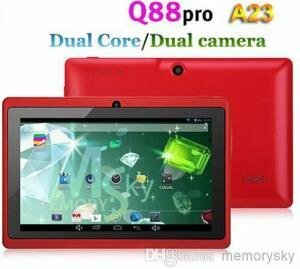 First, let’s talk about its specifications then lets get into the details as well as my personal experience while using this bag. The Case Logic SLRC-205 Sling Backpack has an external dimensions of 37.5 x 11.4 x 21 cm and an internal dimensions of 20.1 x 9.7 x 20.1 cm. It’s made out of Nylon and it’s a shoulder bag/rucksack type sling bag. 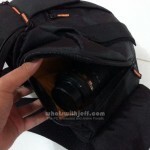 The strap is padded as well as the back portion of the bag to protect the DSLR inside. 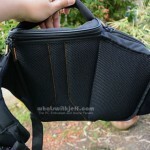 It doesn’t have a room for notebook or even a tablet since this is a very compact sling bag. But believe it or not, you can attach a mid-sized tripod on it, like the Benro Travel Angel Tripod. 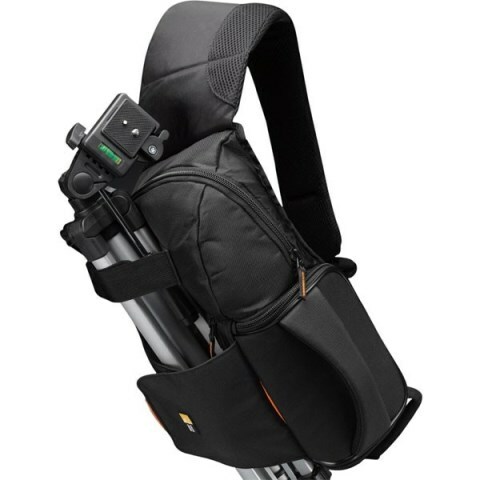 The Case Logic SLRC-205 camera sling backpack has a total of 6 compartments. The 4 compartments are small once, while the other two is where you can put your extra lens and the DSLR it self. 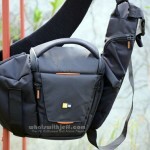 By the way, this bag doesn’t support big DSLRs or full framed DSLR. You can’t also put a “bazooka” type lens or a 70-200mm long lens. The bag doesn’t support a really big DSLRs like a full frame camera because it won’t fit in the main compartment. 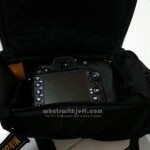 The size of the Nikon D7000 or D71000 is pretty much its limit, and that’s without an extension battery attached to it. Just the body only and an 18-105mm lens. What I like about the main compartment, where you put your DSLR, is that it has an SLR Suspension System where the camera hangs inside the main compartment. It will protect your lens that is attached to your camera from bumps coming from the bottom. The shoulder strap of the Case Logic SLRC-205 is padded making it easier and relaxing to carry around. Obviously it has only one strap but it has a small support strap that goes around your waist. This prevents the bag from accidentally swinging around, making it more secure. There’s also a handle so that you can easily grab it and carry it around just in case your shoulder is tired. I have been using the Case Logic SLRC-205 sling backpack, together with my Nikon D7100, for almost two weeks now, and I really like it. 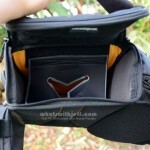 But this doesn’t mean that this sling backpack doesn’t have some disadvantages. 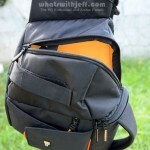 For one, the sling backpack is not water proof nor completely weather sealed. It might survive a few minutes in a drizzle, but water will get in when it is exposed in heavy rain or when you accidentally drop it in a pond of water. The Case Logic SLRC-205 Sling Backpack has a reasonable and affordable price, considering the quality of the material and the craftsmanship of the bag. In US, it sells for around $49 USD, while in UK it’s just around £44.99. I would recommend this bag for travel light photographers and if you are just carrying some of your basic gears when shooting. Summary: The Case Logic SLRC-205 Camera Sling Backpack is a must have accessory specially if you are going to shoot in a travel light condition or your are just carrying some of your basic stuff to shot some photos.